Hi loves! Happy Friday! Do you have weekend plans? We are going to the zoo tomorrow ♥ watching penguins! They also opened a new butterfly garden so I'll be enjoying myself I guess :-). 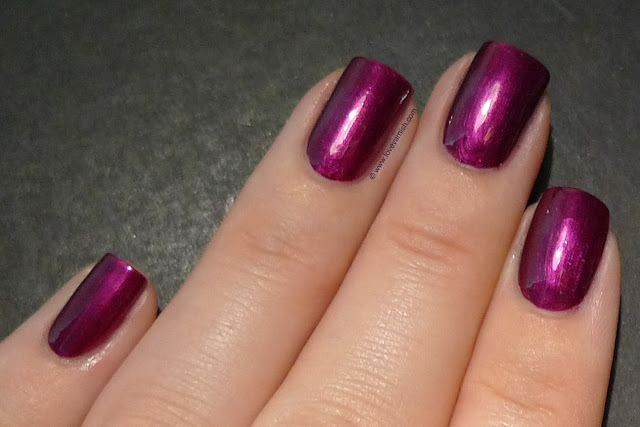 Today I have 2 of the newest China Glaze shades for you! I bought these yesterday at the beauty warehouse - I couldn't resist these vampy shades! I must admit not everything looked as interesting, but I might have to see some reviews about the rest before I make up my mind. I did enjoy the formula on these 2 so that's a big plus! First up, China Glaze Tongue & Chic. 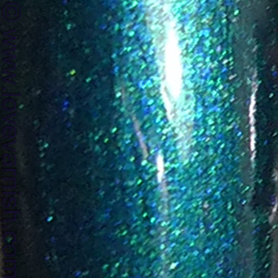 A lovely emerald shimmer that looks quite metallic. This was nearly opaque in ONE coat and I'll definitely try this for stamping. The formula of this and the next shade reminded me of the Retro Diva polishes actually, like Stella and Short & Sassy. The finish is very similar too! 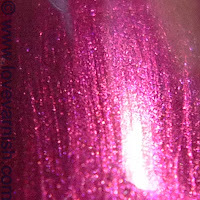 I really like the shade of this beauty and combined with topcoat it dried to a high shine. It does look a bit dull without topcoat. The finish can be slightly streaky but if you are a bit careful in application, it shouldn't show after topcoating. The other beauty, and I really like this one! The name is China Glaze Don't Make Me Wine. 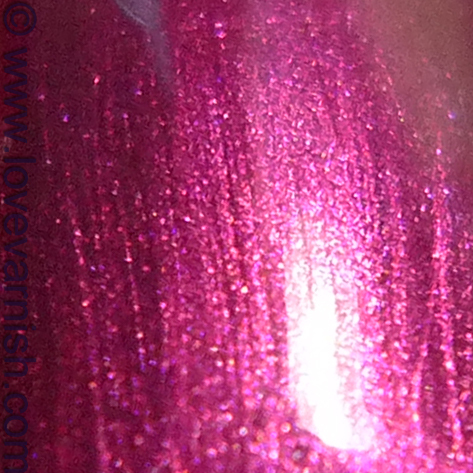 It is like a purple version of Chanel Malice, it has those darker edges and lit from within look that is so beautiful for Fall! This was a bit more sheer than Tongue & Chic, 2 coats were definitely needed but also more than enough to give an opaque result. The brushstrokes show up a bit more but I was also a bit more sloppy in application here. Which of these 2 shades is your favorites? And are you looking forward to any of the other colors? Let me know in the comments! These are gorgeous! Hope to see them in the US soon! Very pretty, although I think I have a couple of similar colours so I won't buy these but I am interested to see the rest of the collection, I love when the Autumn/Winter shades start coming out! I love both of those shades but I am really hoping I already have dupes for it as I am currently on a no-buy. I do love that pretty teal, Tongue & Chic. 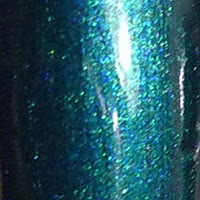 Wow, the first one looks like it has bright blue and green shimmer in it! Lovely! Wow! I'm going to have to keep my no-buy will strong to resist these.....must not try and get lol. They do feel very similar to some shades indeed! I'll admit I bought these as "investment" in the blog too, besides just really liking them :). Oooh but you don't have to hurry over these shades, they are just releasing bit by bit now so they won't be gone for a while :). Yeah, it does! Not as apparent from a distance but it does give some depth :). Haha well they will be available for a while so, no need to hurry ;). It does work for stamping, the teal, so maybe that helps in your decision? Ooooh Fall Pixies - can't wait for those! I must admit I haven't really gotten to those yet.. I am trying to NOT want everything lol!